Thanksgiving means different things to different people. If you’re a guy, it might mean football (either as a couch potato or out on the front lawn). For women, it might mean cooking for hours on end all to have the feast disappear in thirty minutes and turn into hours of clean up. Thanksgiving means family–which can result in laughter, tears, fights, and ruffled feathers. Whatever emotions Thanksgiving evokes in you–those emotions will feel magnified in a caregiver (because he or she will likely feel stressed out due to the fact that they are a caregiver). 1. Send a card. I know, it sounds cheesy, but the year Pedro had cancer, the RV dealership where we had purchased a used RV actually sent us a Thanksgiving card. Signed by four or five employees. I felt so lonely that year, because our family was strewn all over three states for much of the week leading up to Thanksgiving, that a simple card from a business gave me a warm glow. Just think how meaningful a card from a friend or family member will make a caregiver feel! 2. Make it Festive. Create a festive Fall wreath (or buy one) and share it with a caregiver. Or buy some beautiful fall flowers. 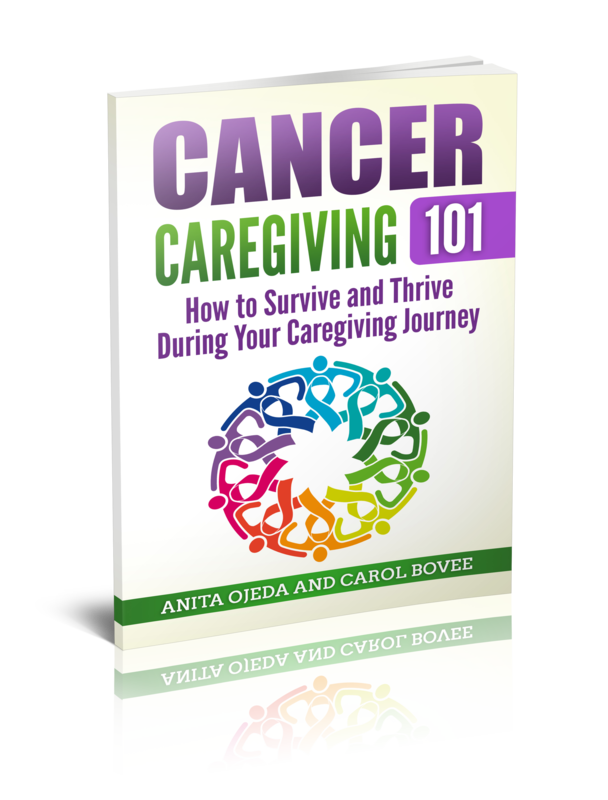 Caregiving is hard work, and while we appreciate decorations, we often don’t have the energy to procure them. Here’s an easy gift bag idea from Lynnae McCoy that will serve double duty as decoration and a way to give some simple gifts. 3. Contribute: Call a caregiver this week and ask if you could contribute anything to their meal that you could make ahead a drop off before your own preparations consume your time. 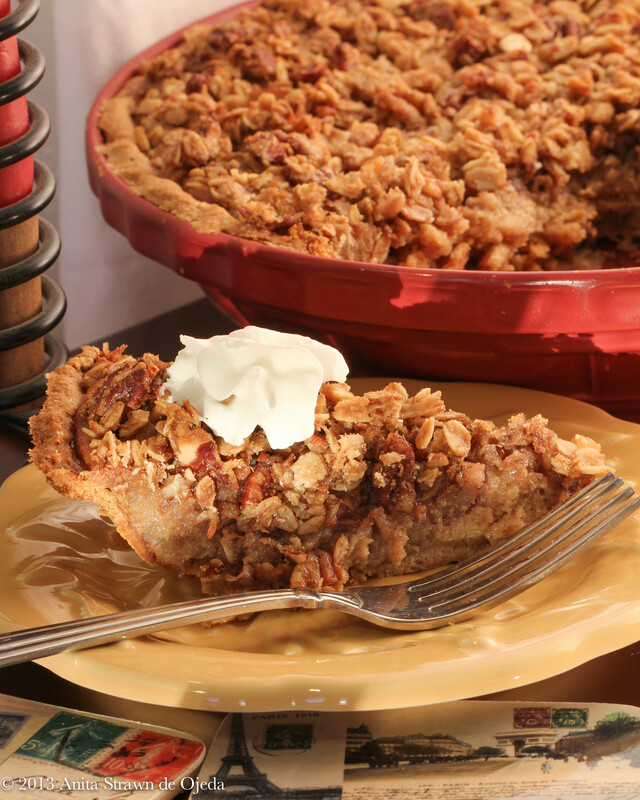 I usually make pies in advance and freeze them–so I make two of each kind and give one away. 4. Buy a roast-a-turkey kit for a busy caregiver: Ok, I know they don’t actually make roast-a-turkey kits–but you can throw one together! Buy a turkey, a baking bag, a disposable roasting pan, a savory rub, some stuffing, and veggies and drop it off this week. Caregivers often don’t have time to get out and shop (and money is often scarce). 5. Invite a caregiver to join your family. If your extended family can’t make it to your place for Thanksgiving, create one of your own (or if you love a crowd). Find a caregiver and invite him or her and the person they care for. Sometimes, people assume that someone else will take care of inviting ‘Aunt Sue’–but in reality, she’s been left out. If you’re a caregiver, what ways have people helped you? 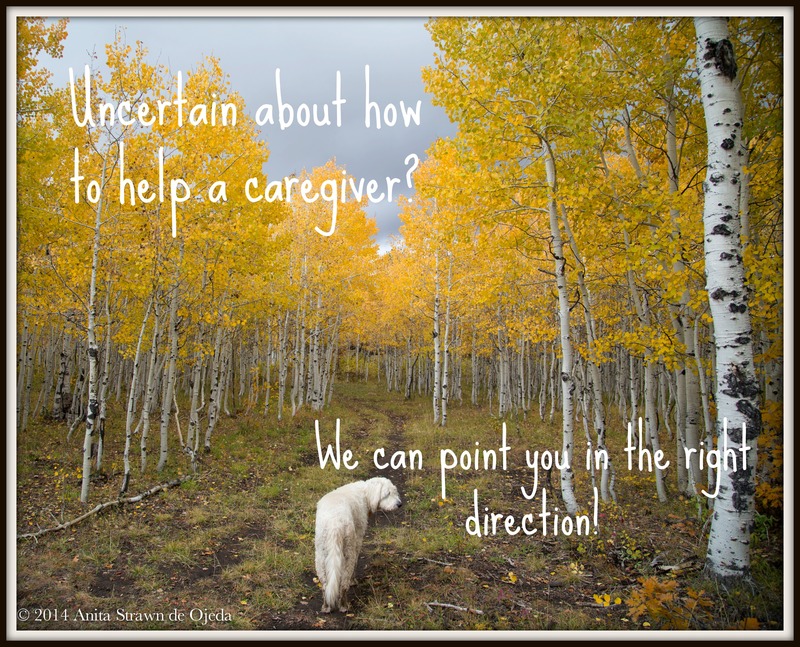 If you’ve ever helped a caregiver, what have you done?